Do you remember a time before smartphones? I know it's difficult to imagine life before your smartphone, but there was a time before you could Check-In on Facebook, find good restaurants in your area on Yelp, and play Words with Friends with your cousin who lives on the other side of the country. Before upgrading to the iPhone, I had a hot pink Motorola RAZR. And even after texting all day, every day (T9!) I could easily go at least a day and a half without having to charge my phone. For the most part, this is not the case anymore. In fact, I'm lucky if I make it to the end of the work day without having to charge my phone. A co-worker of mine with the same problem (let's face it, if you have a smartphone, you probably have the same issue) came up with a great solution! During the day, he uses the ReVIVE Series Uni-Charger to charge his spare smartphone battery. Once his phone's battery is drained, he switches the batteries, giving him battery life until the next morning! I thought this was a very creative way to keep your phone alive and well, especially since AC and DC chargers aren't always available. 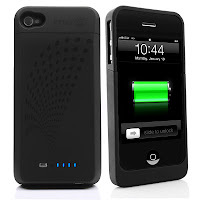 Unfortunately for us iPhone owners, we don't have the option of switching out batteries. But using an enerG4 from Accessory Power is a great alternative! 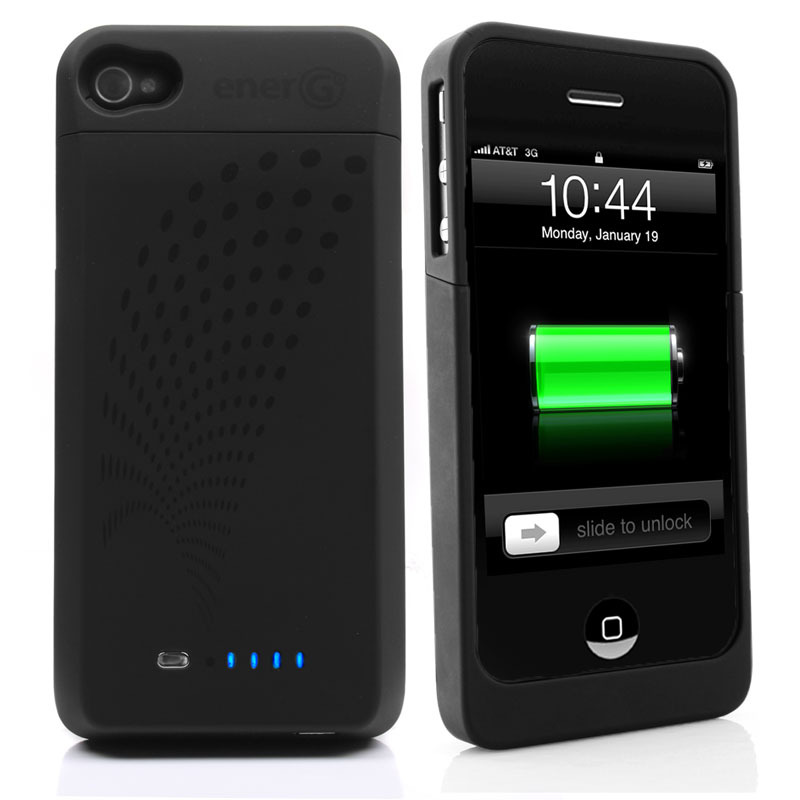 The enerG4 iPhone 4/4S Extended Battery Case provides your iPhone with a nice boost in battery life, providing 40 extra hours of music listening, 13 hours of talking on the phone, and 10 hours of video and web browsing! The ON/OFF switch on the case lets you decide when you're ready for an extra power boost, and will allow you to charge both your iPhone and the enerG4's batteries without removing the case! In addition, the case is also very protective, keeping my iPhone safe and sound. My co-workers also like the fact that it's black and unisex. Although I do miss the good ol' days of the hot pink RAZR! But don't worry, I had my enerG4 bejeweled.